One of the "cooler" ideas we've come up with! 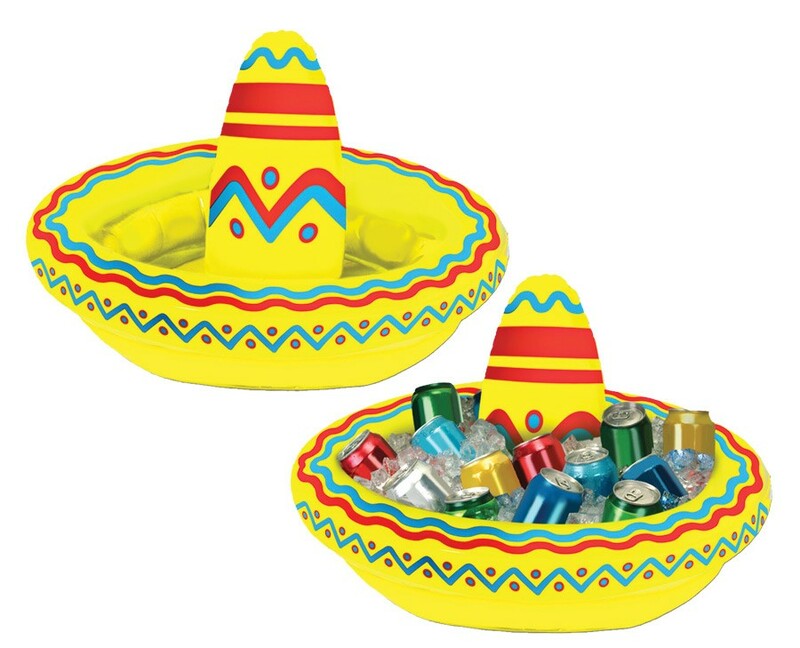 A colorful inflatable sombrero that also functions as a cooler for your favorite party beverages. Great for Cinco de Mayo or any summer party. Buy a few of these and scatter around your house for party fun! PVC. 18inW x 12inH. Holds apprx 10 12-Oz cans when inflated properly.